Set on 1/4 acre in the exclusive Tuscan Ridge development with its 2 master bedroom suites and heated south facing pool & spa, this luxury 5 bedroom, 3.5 bathroom villa with games room is perfect. Perfect for two families holidaying together is the inclusion of two master en suite bedrooms. The main master has a king size bed with walk-in closet space, large shower, double ended bath and twin wash basins. The guest master has a queen size bed with double closets, shower, bath and wash basin. Cable TV and high speed Wifi is available in all bedrooms. Bedrooms 3, 4 and 5 have twin beds, closets and share a third bathroom with a shower. This home comfortably sleeps 10 people. You can use the games room where we have an 8 foot slate betdded pool table, air hockey table, electronic dartboard and a PlayStation 3. The heated pool is larger than standard and incorporates a spa tub, and the deck area has been extended to give a very large outdoor dining and sunbathing area. The patio furniture is versatile and particularly comfortable. Out here will also find a stainless steel gas barbecue for your convenience. Tuscan Ridge is located off of Highway 27 in Davenport Florida and is minutes away from Disney World Orlando. 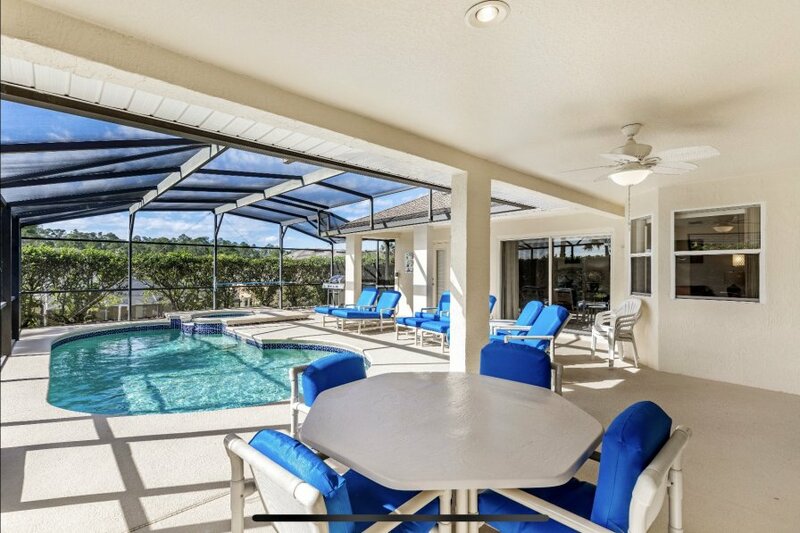 Tuscan Ridge is a popular development of luxury houses and vacation rentals making it an ideal place for your dream Florida vacation in the sun.